It’s that wonderful time of year, when we celebrate the mothers in our life. You may be a mum yourself, and choose to keep your prize, or perhaps you plan to give it to a special mother you know could use a reminder of how loved they are. 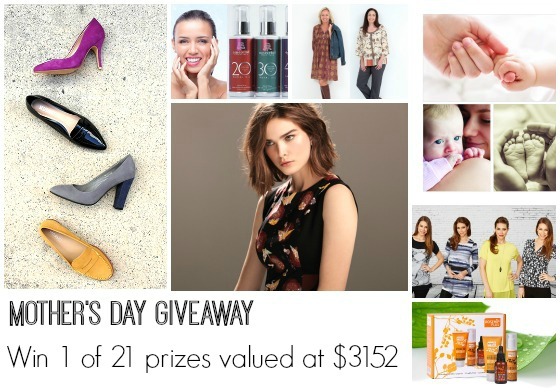 Either way, you’ll really want to enter this amazing Mother’s Day giveaway for a chance to win one of 21 prizes valued at $3152. Could your wardrobe use a winter style boost? Check out the fabulous prizes from Misano Shoes, Philosophy Australia, Maiocchi and Heartfelt Designs. Maybe your skin is struggling with the change of season. If so, the RosehipPLUS or Ameretat prize has your name all over it. There is also a stunning original piece of artwork from Denise Daffara, a gift voucher from The Canvas Factory and three prizes from The Bag Tag Studio. So many amazing prizes to win, Stylers! 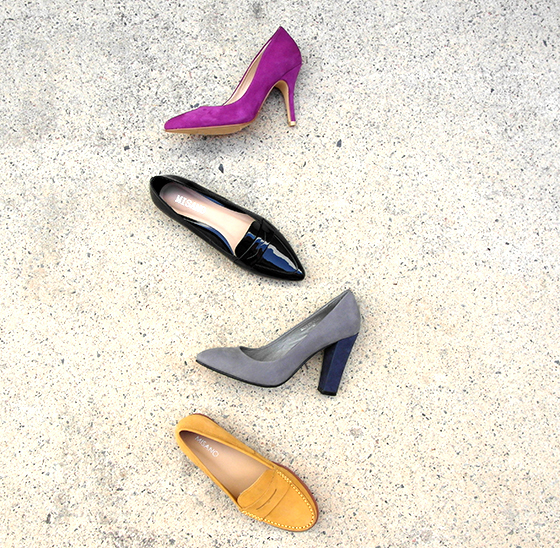 The team at Misano Shoes are passionate about creating simply beautiful shoes. Stylish but affordable fashion that works effortlessly with your lifestyle and wardrobe. Born, bread and designed in Perth, Misano shoes are stocked in shoe and fashion boutiques nationwide. Misano are giving five lucky Styling you readers the chance to win their choice of one of the styles pictured from the latest winter collection. Even better, you will be given colour options with your choice. Decisions, decisions! Each prize is valued at $140.00. View the winter collection and find stockists here www.misanoshoes.com.au. Philosophy Australia started over 15 years ago, and design three collections annually to bring us all pieces that are stylish yet wearable, using premium fabrics for the best quality and fit. Philosophy Australia would love to offer one lucky winner the chance to win a $500 wardrobe voucher. The winner will also receive a one on one styling workshop with the Philosophy head designer, where they will learn how to shop and dress for their body shape, and style their outfits for every occasion, valued at $100. Maiocchi design gorgeous garments for women that are incredibly flattering and make them feel oh-so special. Often simple in their cut, Maiocchi garments are personalised with precious little handmade details and quirky touches. By twisting retro silhouettes into fresh modern garments, the focus is always on figure flattering shapes, exceptional quality and close attention to detail. The Maiocchi Winter 15 Range is all about darling frocks that you will certainly live happily ever after in. Vintage silhouettes in Japanese cottons and easy to wear jersey pieces in retro prints of paper cranes and oriental blooms. 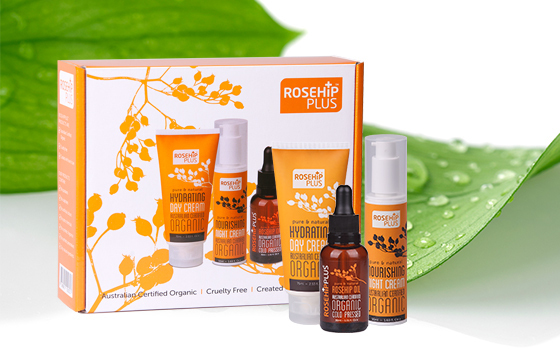 Exclusively for Mother’s Day, RosehipPLUS™ are launching a special gift pack, which includes their Hydrating Day Cream, Nourishing Night Cream and a 30ml Rosehip Oil. The oil is 100% pure and rich in naturally occurring vitamins, antioxidants and essential fatty acids. The Day and Night cream both contain our Rosehip Oil, as well as key natural ingredients including chamomile, avocado oil, rose geranium, cocoa seed butter, jojoba seed oil and shea butter. The RosehipPLUS™ beauty range supports healthy looking skin, maintains skin hydration and softness, improves the appearance of dry and sensitive skin, minimises the appearance of fine lines, and wrinkles and promotes skin elasticity and texture. All products use only premium quality ingredients, rich in naturally occurring nutrients that are free from pesticides, bleaching, colouring and fragrances. The RosehipPLUS™ range can be used daily on all skin types, even the most sensitive skin. As well as being Australian Certified Organic, the range is endorsed by PETA and it is not tested on animals. Five of you will win the Mother’s DAy pack which contains the Hydrating Day Cream, Nourishing Night Cream and Organic Rosehip Oil. 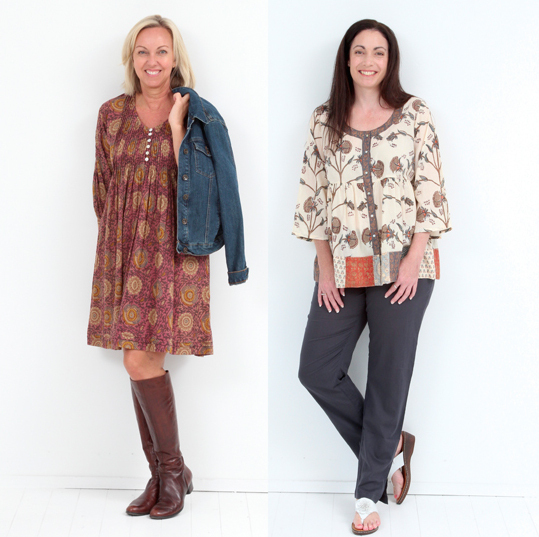 Heartfelt is an Australian label supplying wonderfully relaxed clothing in 100% natural fibres – cotton, linen and silk. They are committed to providing fun, flattering and affordable clothing for today’s women. Check out their website for the current trans-seasonal range – plus lots of summer reductions of up to 50% off original prices. 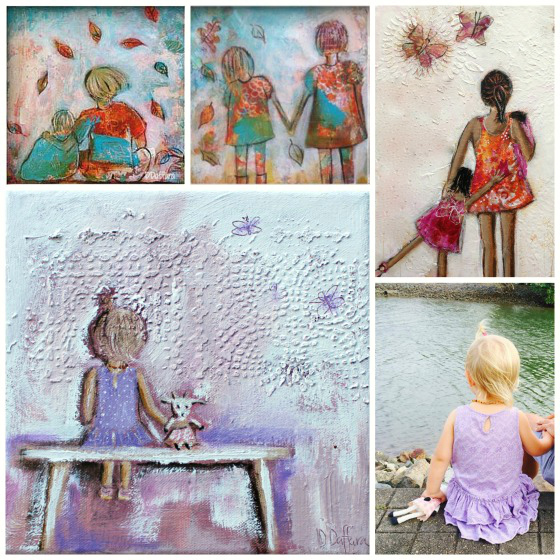 Introducing the enchanting ‘Essence of Your Child’ painting series by artist Denise Daffara. She intuitively creates a unique painting filled with loving energy, texture and meaning for you and your loved ones. Denise captures the little nuances that make your child so perfectly themselves, perhaps a favourite toy or pet is invited in. An ‘Essence of Your Child’ painting is the perfect gift for Mother’s Day, or to celebrate your child’s birthday or milestone in a uniquely personal way and will be treasured within the family as a keepsake forever. One of you will win an exclusively commissioned Essence of Your Child painting which is an original painting, 20 x 20cm and is valued at $250. The prize includes phone and/or email consultation to gather the information unique to your child/children which will inform the creation of your painting. Special offer for SY readers: mention ‘Styling You’ on your precious painting request before 31 May 2015 and receive $50 off. The Canvas Factory would like to help you celebrate mother’s day by giving away a stunning package of Canvas pictures in your choice of designs or your very own photographs. Being a mother is special, why not capture those special memories and keep them forever. Whether you are a mum and want to remember all the beautiful times with your children or you may be an adult wanting to remember the times you had with your mother. Life is precious and worth celebrating, keeping happy memories on Canvas will always keep your memories alive. 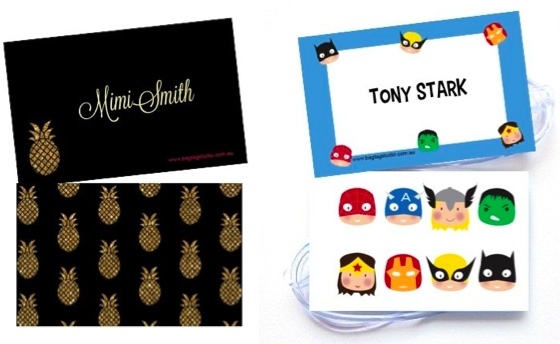 The prize offered consists of a $250 gift voucher valid for product from The Canvas Factory. Just redeem your coupon on their website and create your master piece with your own images, whether it be a photo collage or simply one large beautiful photo, you will always treasure your work of art. With a large 75% off sale storewide over the mother’s day period, everyone can give the gift of love this mother’s day. Modern trends towards more holistic and sustainable approaches to health and self-care are driving a rediscovery of the profound health benefits of 100% pure Essential Oils. One of you will win a pack containing Ameretat’s age-specific Natural Everyday Facial Oil blended with golden jojoba, organic argan oil, organic rose hip oil, organic evening primrose oil, natural vitamin E oil and 100% pure essential oils which rebuilds the moisture balance of your skin and helps maintain cellular regeneration and elasticity. Ameretat products contain no petrochemicals, no mineral oils and no parabens. Australian made and owned, Ameretat Essentials range of aromatherapy-based skin care, as well as the Ameretat Pregnancy and Ameretat Baby range can be found online at www.ameretat.com.au. The Bag Tag Studio is an online studio where you can create stylish and personalised luggage and bag tags and they have three $50 vouchers to give away in time for Mother’s Day. It is your place for stylish, personalised luggage tags and bag tags. They’re open 24 hours a day, 7 days a week so you can start creating your own gorgeous tags anytime! Their exclusive designs let you express who you are. Whether you’re an Adventurous Traveller, a Savvy Professional, or an Athlete Extraordinaire there’s something for you – so you can create a personalised tag that best suits you. At The Bag Tag Studio you can be confident that whatever tag you create will be a stylish reflection of the person whose name is on it. Terms and conditions: The Styling You Mother’s Day Giveaway will be drawn at random using random.org. The competition opens Wednesday April 22nd at 6am EST and closes on Wednesday May 6th at 5pm EST. One entry per person. Australian entries only, sorry. There are 21 prizes to be won, with a total prize pool of $3152. Winners will be notified via email and published here. For full competition terms and conditions, click here. Sharing is caring … and brings good competition karma. Would love you to share this on your favourite social media networks! Now, tell me … which prize would you most like to win? PS. If you’re a small or medium business which would like to be a part of the next SY giveaway, check out the guidelines and email [email protected] to book in. She would love the RosehipPLUS prize! She’s aging naturally but she wants to keep her skin in tip top condition! My beautiful mother would love the Misano shoes!! She loves her shoes – what girl doesn’t ! The Philosophy Australia Wardrobe would be ideal, would love to know what to wear for my body shape because at the moment I have no idea. Philosophy Australia Wardrobe Voucher to help me sort out my wardrobe so I only buy things that work together… would love to win! Essence of the Child painting, I think! Any prize would be wonderful! Philosophy Australia Wardrobe Voucher…head designer to show me the wardrobe tricks to looking and feeling good in clothes. Love to win the RosehipPLUS to make this nearly 40 Mum feel awesome! Denise Daffara Commissioned Artwork – I would love to create a memory to treasure. For me it would have to be the Denise Daffara Commissioned Artwork. It would be amazing to be able to give my mum a one of a kind painting of her grandchildren that is funky as well an sentimental. She would love it! I’d love he Canvas Factory voucher. I think many of us are guilty of having hundreds of digital prints and risk loosing them because we never turn them into real photos to treasure forever. Misano shoes would be a delicious treat for my feet, something pretty for me to stare upon as my feet sit beautifully upon my couch all day on Sunday. The Ameretat products look divine! Misano shoe pack would be perfect. That’s one luxury item I don’t tend to spend as much on as I should. I know my feet are important! Ameretat Essentials – I have sensitive skin so these products sound Heavenly and my Skin will be Clean, Perfect, Natural, Pure, Beautiful and Soft like a Angel! – My skin will also be able to sing Naturally like an Angel with the help of the Natural Oils in the products! The Philosophy Australia Wardrobe Voucher would be wonderful. In a few weeks Im heading to LA and would love to know that I had clothing for every situation. I love the Misano Shoes – the Brentwood in Mustard – a must have for winter! I’d love to get myself something from the Maiocchi range. Their styles always look so gorgeous!! Spoiling myself on Mothers Day is a great idea!! The Maiocchi Dress would be perfect!. I’d love a Maiocchi dress. I’d just once like something to wear something that didn’t come from a discount at target. For me…nothing. Foe my my Mum who’s just lost 20kg, the fabulous Philosophy Australia voucher! Is there any choice other than Misano Shoes? I don’t think so! The Misano shoes would be lovely. My feet need pampering too. I would gladly take any of these wonderful prizes. Heartfelt Design is for me, as I need new clothes desperately. Anything you have lying around would do me because I’m not greedy. Absolute luxury!! Hi Nikki, I would love to win the Rosehip Plus pack. I have recently had a Bcc removed from my face and am finding oils are really helping with the scar. Thank you! Philosophy clothes are just fabulous, such great fabrics…but there again I would love the Misano Shoes! I can’t decide- I am generally a casual dresser- and have problem feet! Have coveted and drooled over stylish Maioochi gear in their Brisbane Boutiques. A voucher would be wickedly wonderfully welcome. Being a plus sized girl, normal clothes dont fit me, so the shoes would be wonderful!! The Canvas Factory voucher appeals to me. Family pictures always evoke happy memories. I would love to win the Philosophy prize for my daughter, Bronwyn. She is a single mum and has a job which pays poorly but allows her to juggle work and her children’s best interests. She buys her clothes at the cheapest shops while making sure the kids have everything they need and much of what they want. I help her as much as I can, but surprising her with a Mothers Day gift of styling and the choice of items from such a high class brand would make MY Mothers Day complete! The Bag Tag Studio prize would be resplendent!! I can see my Mum in the Misano Style Brentwood in Mustard. She is a shoeaholic just like me! All the prizes are awesome. Any one would be most acceptable. BAG TAG STUDIO’s personal tags would be so fabulously functionally useful for my ‘work away’ a day luggage. Sorry, but this form is limited to one submission per user. But I swear this was the first time I tried to enter! Am I in or out??? 5 x pairs of Misano Shoes please!! All wonderful prizes but think the Philosophy wardrobe voucher would be wonderful especially the stylist session as the design tips would be invaluable. I do love rosehip plus range as well but both my Mum & myself already use these especially the oil every day. I’m sure my mum would love any and all of the prizes on offer here! The Bag Tag Studio please. I’d love to win a Maiocchi dress. It’s gorgeous! I would love to win the philosophy styling session. My philosophy is Styling You, so to have Philosophy Style Me, would be a Mother’s dream. The Misano shoes would be amazing! Hi Ladies, we are so thrilled to hear that you are loving the Philosophy prize. We are always willing to help you look your best so please feel free to contact us at [email protected] for assistance with styling for your body type and wardrobe. Goodluck to everyone for the competition! BAG TAG – terrific for luggage tagging for work travelling I must do. Winning the Philosophy wardrobe voucher would be amazing! I think there would be nothing better than having the professional advice and help to choose clothing that fits right, looks great and makes me feel special wearing it. Babies, age and life have all been a part of my bodies making and with a little help its time to celebrate it! thankyou nikki, these are amazing prizes! I always forget to enter … helloo brain!!! I would ofcourse adore a pair of misanoshoes! … I love them! Any of these great prizes would be much appreciated by my Mum! Philosophy Australia- the styling session would be the gift that keeps giving! Magical Mayoochi.. adore the cutely colourful prints, patterns with a goodly dash of Japanese styling. You can never have too many “little black dresses”. Love the Mayoochi Like a Diamond Dress in Black . The RosehipPLUS Mother’s Day pack looks lovely. I would love to win the Rosehip PLUS Mother’s Day pack for my mum. Misano Shoes! They are gorgeous, i do plenty of heeling but got no sole on my shoes! Would love a pair to stay stylish and comfy! I’m looking at the Misano shoes, for me! I would love to win the RosehipPLUS prize because I love skincare products! I would love to send my Mum on the Philosophy shopping spree so that she can feel special for not just one day but everyday of the year! I’d love to win anything! I especially love the Maiocchi Dress and Misano shoes. If I was lucky enough to win I would choose the Philosophy Australia prize for my Mum. She has lost 12kg in the past month and has no idea how to dress or what goes with what…this would give her some confidence. A pair of Misano shoes or the Maiocchi dress would help me go places. They all look fantastic but the shoes would be wonderful. Misano shoes – my shoe wardrobe is in major need of an update please. Maiocchi Dress, a new dress for dark and romantic winter nights! Rosehip Plus Mother’s Day pack please! I would love to win the RosehipPLUS Mother’s Day pack please! Misano shoes or Philosophy clothing – either would certainly give my sense of self a boost. Would be lucky and happy to win anything really but love the Misano shoes and any addition to my depleted autumn/winter wardrobe would be very welcome – good luck everyone! Misano shoes .Everyone needs a pair of stylish , comfortable shoes. Look how well Cinderella did. She hooked a prince with her shoes! Misano shoes are my number 1 choice, beautiful, stylish, comfortable shoes make me very happy. A very big thank you to SY and all of the sponsors for bringing us such a wonderful competition enlightened by beautiful prizes. I would be lucky to win any one of these treasures though the Misano Shoes would be my pick and a fabulous edition to a seasonal wardrobe, good luck to everyone who enters. Philosophy wardrobe voucher + styling session; I definitely need help with styling and don’t have anyone to ask as my mum, three sisters and aunties all live in Denmark. The Style Berryville in Black shoes from Misano! Being quite the active mom running around with my 1.5 year old daughter, I’ve worn my white Zara shoes to death and the soles are fast wearing thin. The Berryville in Black is very similar and I’ve yet to come across another pair that looks anything remotely like the one I own! Major plus, the berrryville is that touch classier and I can easily dress it up or down with my current wardrobe!!! Win win!! And Win! Philosophy Australia Wardrobe Voucher would be great as my wardrobe is rather depressing and having lost 17kg in 2 months could do with a booster! The Maiocchi dress prize would be perfect as I’m in need of a gorgeous and stylist winter dress pretty please!! Philosophy Australia Wardrobe Voucher definately need the help with styling I would love someone to help me out. The Canvas Factory Voucher to bring my holiday snaps to life ! l would love to win the shoes please. I would love to gift the Heartfelt Design voucher to my Mum, she would love it! I’d love to win a Maiocchi dress from the Winter 15 range as they are gorgeous! Beautiful skincare is always lovely, an Ameretat Essentials gift pack sounds luscious! I desperately need some new additions to my winter wardrobe and some stylist advice would be much appreciated! Therefore my first choice of prize would be the Philosophy wardrobe and styling session. I love it all, as usual. I think I would love the Denise Daffara print the most – I really admire talented people. The Canvas Factory voucher. I have so many family memories on my computer and bare walls just itching to be filled! I’d love a pair of those Misano shoes! The mustard Brentwood pair look super comfy! I would be delighted to win a Maiocchi dress from the Winter 15 range or indeed, any of these great prizes. philosophy Australian wardrobe voucher, maiocchi dress, or rosehip plus mothers day pack.They look so lovely but any one of these. I would be delighted to win anything Nikki! The Philosophy Australian Wardrobe voucher. As my body shape is changing. I would like advice as what clothes suit me plus it is Australian made. Would be delighted with the Maiocchi dress! Tough but I”ll go with Maiocchi Dress since winter is coming! I am really not that fussy, but you would like to know which one, I would love the canvas factory voucher, I need to update my photos of my four teenage children. I would be over the moon to win any of these prizes, but if I had to choose then I would love the Maiocchi dress or the Misano shoes, they are gorgeous! Philosophy! Have ALWAYS wanted to receive some individual styling advice from a pro!! The amazing Denise Daffara commissitioned artwork! I would be very grateful to win anything! love misano shoes!!! great comp – thanks for sharing! Any of the prizes would be amazing! Last time I joined one of yourbig competitions you emailed all the personal data I gave you across the internet. I found that incredibly disrespectful of my privacy. Have you fixed that security flaw yet? If not, the chance to win awesome shoes is not worth it. I’d love the heartfelt design voucher. Philosophy voucher and styling session im a mum of 9 who is so out of fashion i need as much help as i can get!! Some new shoes would be a treat for my ageing feet! I need some new loafers for winter. The RosehipPLUS Mother’s Day pack, with four rugrats, I’d love a treat! Love the Maiocchi dress, so stylish!!! I would love to win the clothing or shoe vouchers, always looking for new items to update my dull and boring wardrobe! Ameretat Essentials gift pack, I think it’d leave my skin so clear and glowing. The canvas Factory voucher would be a great momento to keep for my first mothers day. I LOVE Maiocchi clothes! I love them being designed and made in Australia. I love their fit and quality. Just love ’em! New shoes or philosophy voucher, but I’ll take anything! A girl can never have enough shoes! I used to laugh at that, but its so so true. Love the shoes. I’m wearing a grey dress today that would look less nanna with the Violet Misano Heels. Stop it, Emily. Maiocchi. Thanks for hosting the giveaway! Oooh, the “The Cat’s Meow Dress in Black” is gorgeous. Once again, well done Nikki. My gorgeous mum would be happy with any of these lovely prizes if i was to win. She has been such a rock for me during the messy upheaval my life has been for the last 6 months, it would be an extra special thank you. I’d love to win the Philosophy Australia Wardrobe Voucher, my Winter wardrobe is seriously lacking! The Philosophy Australia Wardrobe Voucher! Maiocchi, all day every day, gorgeous Australian made and designed and beyond fabulous! The Maiocchi dress is gorgeous! It would do me just fine! I love natural fibres so a Heartfelt Designs voucher sounds great. Heartfelt Designs site is jam packed with clothes that are calling my name! They all look amazing, but the Rosehip Oil pack looks particularly appealing for my poor neglected skin. The Denise Daffara Commissioned Artwork is just gorgeous, so personal, I would be overwhelmed if I received that for Mother’s Day. Fabulous prizes. But if had to choose one it would be the Misano Shoe voucher. There gorgeous shoes. Choices! But I will say the Maiocchi dress… very different…elegant for all occasions. Ooohhh, a Maiocchi dress would be just lovely! Thanks for offering this wonderful competition Nikki. I would be thrilled to win any of the amazing prizes, thank you so much for giving us the chance to enter! I would so love to own a Maiocchi dress! I would love anything as they are all great prizes but the styling session and voucher for Philosophy Australia would be great and help me rework my style. I would love a Maiocchi Dress, as I love a fifties fit in dresses, it suits my figure. Would love shoes Nikki but all prizes sound lovely. The Misano shoes or the Maiocchi dress would be the best!! Who could go past five pairs of shoes, though those Maiocchi dresses are adorable! I’d love the Heartfelt voucher, their clothes look lovely! I would love to win the Ameretat Essentials gift pack, but any would be wonderful. Such fabulous prizes, too hard to choose a favourite! I would love to win the Commissioned artwork to capture a beautiful picture of my 6 month old son. It is such a beautiful time and a personalized artwork would be so special. Happy Mothers Day to all the fabulous mothers out there. I would like to win the Philosophy prize for my mum but all prizes are wonderful.